Varinder Grewal joined QuadReal as Vice President, International Investments in January 2017, including active involvement in the establishment of QuadReal since June 2016. He focuses on building the international business, with an emphasis on Europe and Asia, and is responsible for transaction origination, asset and portfolio management. 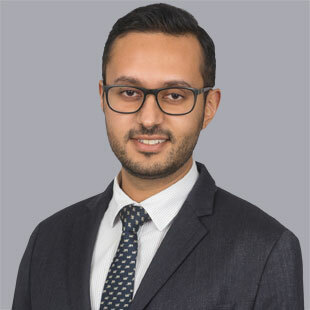 Varinder was formerly a Portfolio Manager in BCI’s Real Estate Group, where he was instrumental in re-launching BCI’s international real estate program in 2014. Previously, he was an investment banker at TD Securities, primarily covering Canadian real estate capital markets. Varinder holds a B.Comm. from the University of British Columbia. He is a CFA charterholder and sat on the Board of CFA Victoria for three years. Varinder is committed to ensuring the successful establishment of QuadReal and the unique opportunity to grow a high-quality, diversified international real estate portfolio working with best-in-class operating and financial partners.